I’ve been through some trends, some fads, some swings of the pendulum in my 30 years as a professional songwriter in Nashville. 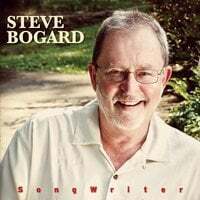 One of my first mentors in town, Rory Bourke, told me in the early eighties that there were two distinct songwriting styles in Nashville. There was Rory, Charlie Block, Bob McDill, etc. who were more the “office” guys. They worked hard, often forty plus hours a week, but went home to their families at night, coached little league, and led (with the exception that your financial planning is less stable than a professional gambler,) a fairly “normal” life. Then there was the “wild” side of the songwriting world: hard drinkin’ hard rockin’, three days awake at the Floribama songwriters who were very reminiscent of my brief road stints with Charlie Rich and Jerry Lee. I had two young kids and a beautiful wife and was just winding down from a decade of six nights a week in night clubs, late hours, working weekends and holidays, so Rory’s “Disney Dad” scenario was very appealing to me at the time. I went there, found my groove and found some success. I just got back a few weeks ago from the Bahamas Songwriter Festival, sponsored by my publisher, Magic Mustang Music and BMI. It’s a great example of what is, to me, a terrific songwriting modus operandi. This was a luxurious example of the “retreat / bus trip” writing experience which is becoming increasingly popular. To my sometime curmudgeonly surprise, it’s also VERY productive. Rosemary Beach is another wonderful retreat site, a four-bedroom house with a guest cottage and pool, non-stop writing with artists and great songwriters. I pedaled a bike to the beach at midnight after many two many cocktails and wrote a song with a major artist that he’s already cut for his next album – under the stars, lying in the sand. The loose camaraderie and the chance to really get to know some really talented folks is a real asset in the songwriting process. Blackberry Farms, Evans Mill, and the Broken Bow bus were all sites of some great writing retreats over the last year. So even though all these songwriting immersion experiences are not as exotic as writing at the legendary Compass Point (the studio where Chris Blackwell cut AC / DC and Mutt Lange made some of his legendary records.) And even though climbing into a bus bunk isn’t as transcendental as listening to the waves roar through the open door of your cottage on stilts in Nassau, all these experiences have one thing in common. Songwriters love to write and interact with each other. Most are in a constant quest for great songs that move people. Most are good, kind caring people you’d want to know even if you weren’t chasing a very elusive way to make a very elusive living. It’s a special life for which I continue to be thankful every day. Later …. This entry was posted in General, Songwriting. Bookmark the permalink. That sounds like the ‘Good Life’….Lol. I say you totally deserve it, you guys all work extremely hard!! Hope to emulate you one day.